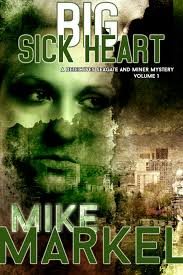 Big Sick Heart: A Detectives Seagate and Miner Mystery ( Detectives Seagate and Miner Mysteries #1) by Mike Markel is a 2014 publication. This novel had the nerve to tackle some pretty controversial issues. Stem cell research is of course hotly debated with people firmly on one side or the other. The debate can get really heated. Amazingly, this novel manages to pull off a mystery surrounding the complications of stem cell research without stepping on a hornet's nest. Detective Karen Seagate and Detective Ryan Miner are partners working to solve the murder of a man, Arlen Hargerty, whose public stance on stem cell research and leader of a group called “Soul Savers” may have made him a few enemies. While on the lecture circuit with his wife, assistant and debate partner , Arlen is found murdered. The suspects are plenty as we will discover when the murder victim's corruption comes to light as well as his extramarital affair. Wife? Mistress? Debate Partner? All are suspects, but the deeper the detectives dig, the more enemies they uncover, each with equally compelling motives. I would never have dreamed of paring Seagate and Minor as partners. I have a thing for the darker side of a character and I happen to like when a detective has real life problems on top of job pressures. It gives the book a gritty and more realistic feel. Karen is a woman struggling for respect in her male dominated profession, she is divorced, and has lost custody of her son. She has taken to indulging in booze as a way to cope which of course is not the answer. So, it almost seems ironical when she is paired with Miner, a fresh faced Mormon with a wife and kids, who lives life on the straight and narrow path. These detectives couldn't be more different from one another. It's a startling contrast and so I thought it was interesting. The detectives uncover a sordid game of politics, bribery, and big money which will eventually force the already troubled Seagate into a gut wrenching and controversial decision. However, Seagate with the staunch support of her partner will start to realize she has to pull it together because she has a son and no matter what she needs to be present for him. First books in a series are often difficult for me, and to my knowledge this is the first published book by this author. I had no idea what to expect. Setting characters up in what will most likely be recurring roles for future installments and still getting a crime solved is a difficult balance for even the most seasoned authors. Karen's personality and her problems almost overwhelmed the story is many cases, as her character was the most predominant. Some religious themes were in this one and I tend to shy away from those, but it was handled well, sticking the beliefs clearly onto the character, so it didn't become preachy. In fact Miner could be pretty funny. I thought the plot was an ambitious undertaking for a first in a series novel. It could have gotten out of control but the author kept it all on an even keel wrapping it all up and leaving us to wonder what will be next for this rather unconventional detective team. I have book two loaded up and ready to go! Overall this one gets 4 stars. I am the author of four books in the Detectives Seagate and Miner Mystery series: Big Sick Heart, Deviations, The Broken Saint, and Three-Ways. 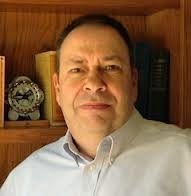 For more information, please visit my site: http://mikemarkel.com. I've written a number of nonfiction books on writing, especially technical writing. By day, I'm a writing teacher at Boise State University.